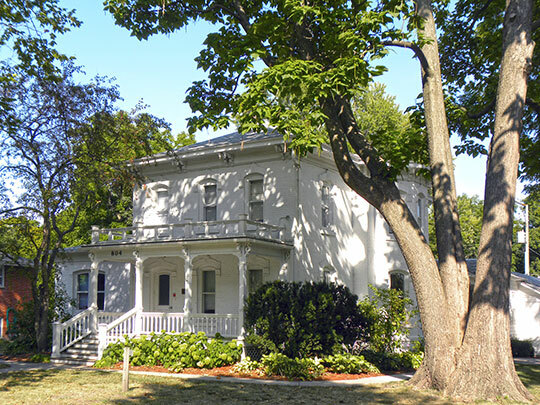 Photo: Professor J. L. Budd, Sarah M., and Etta Budd House, ca. 1880s, 1204 Avenue H, Ames, IA. Listed on the National Register of Historic Places in 1998. Photographed by user:Dagwin57 (own work), 2013, [cc-by-3.0 (creativecommons.org/licenses/by/3.0)], via Wikimedia Commons, accessed November, 2013. Story County administrative offices are located at 900 6th Street, Nevada, IA 50201; phone: 515-382-7200.